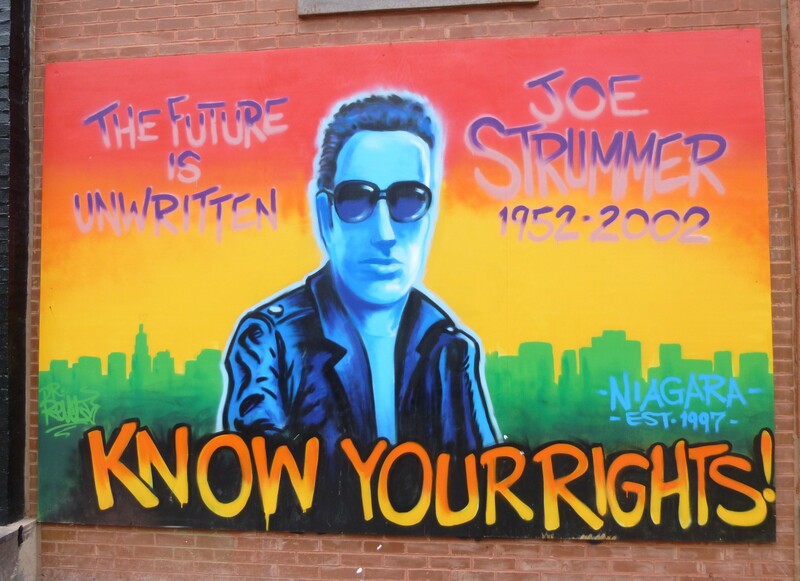 It must have been a while since I walked west on 7th Street towards Avenue A, because today I noticed for the first time that the Joe Strummer Memorial Mural has been restored to the East 7th Street facade of the exterior of Niagara Bar, located at corner of Avenue A and 7th Street. The original mural, created by street artists Dr. REVOLT and Zephyr after Strummer’s death in 2002, was removed in 2013 to facilitate structural repairs to the building. The piece has now been recreated (a little Googling reveals it reappeared in September 2013) by Dr. REVOLT in a similar but still recognizably different style. You can see what the original mural looked like at This Link. 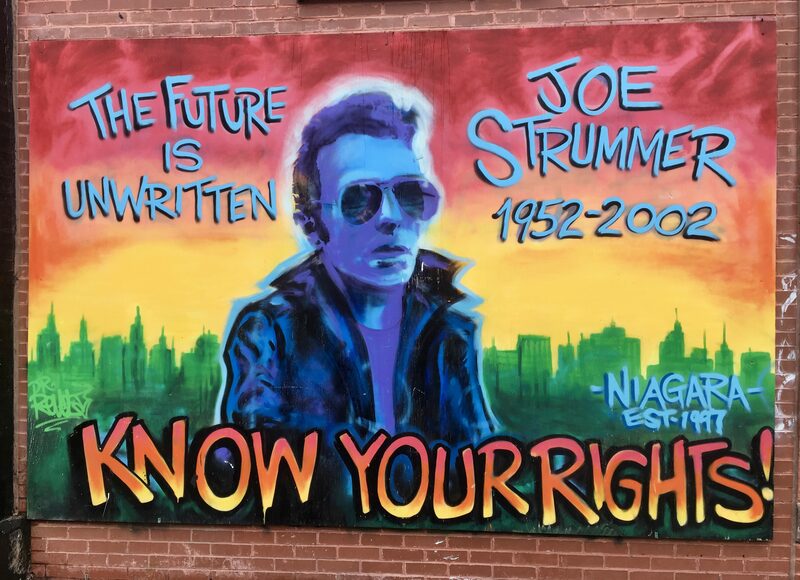 I walked by the mural this afternoon and you can see that it as been touched-up to create a more realistic likeness to to Strummer. Nice!